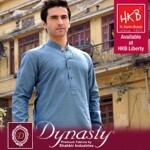 Recently Dynasty Fabrics has launched Latest Men Summer Collection for summer 2012 season. Dynasty Fabrics is a brand of Shabbir Industries. Dynasty Fabrics was founded in 2011. You will find that Dynasty offers a different range for the different seasons of the year. With the purest and lightest fabrics for the summer, Dynasty does it all. The stylish Kurta Salwar and Salwar kameez by Dynasty Fabrics look worth admirable and decency of color and design are worth wearable. They used light colors like white, cream, sky blue and grey colors for these Kurta are which are perfect to wear in hot summers. 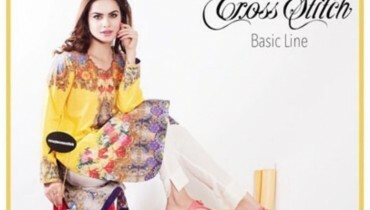 Simple Kurta Salwar and Salwar Kameez are included in this collection. 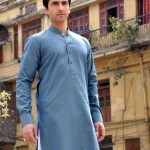 Lets have a look at Dynasty Fabrics Summer Collection 2012 for Men.